We are getting to that time of year when thoughts of hedge cutting start to materialise. For us, it’s a large beech hedge and finding the right hedgecutter to use can be tricky. So we have asked Bosch Home and Garden to give some advice on choosing the perfect hedgecutter for your garden. Size of hedge: The taller the hedge, the more important the length of blade. 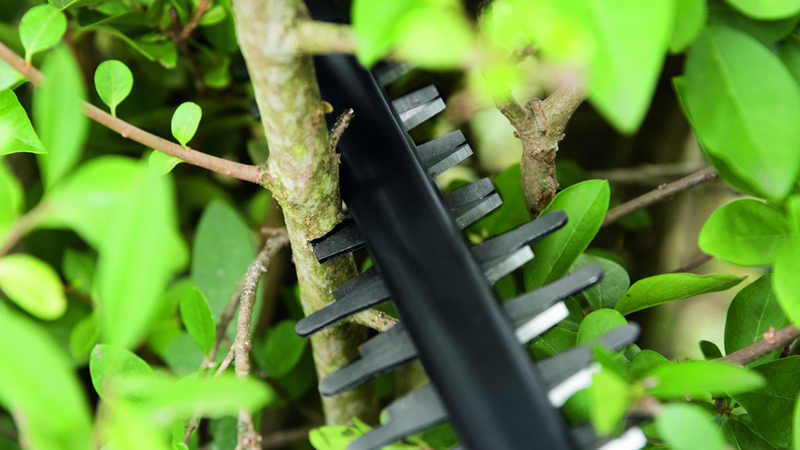 A longer blade makes it easier to reach the top of your hedge, enabling you to work more comfortably and efficiently. Types of hedgecutters: there are three types – Corded electric; cordless electric; petrol. Corded electric: Corded electric hedgecutters ensure maximum power and uninterrupted cutting. They are easy to maintain and provide constant power. Bear in mind that a corded hedgecutter limits the size of the work area however and might be difficult to manage if you have larger hedges. The issue of access to an electric power source must also be considered. 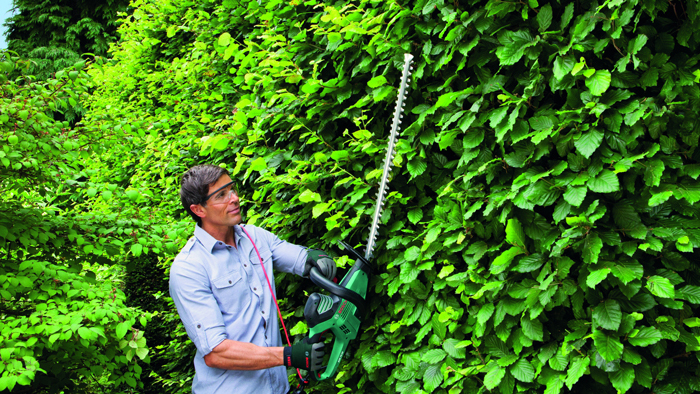 Cordless hedgecutters are perfect if you want the freedom to cut your hedges without the risk of cutting through a cord. They’re lightweight and relatively quiet. However, you need to consider the run time of the product; will you manage to trim your whole hedge before the battery runs out? Bosch’s advanced battery technology means one charge is enough for up to 75 minutes of work. Petrol hedgecutters tend to be more suited to thicker hedges, as they are more powerful. However, they can be heavier, nosier and require additional ongoing fuel costs. Anti-Blocking System– If a branch isn’t cut through on the first attempt, the tool changes the running direction of the blades. In this way, the Anti-Blocking System ensures uninterrupted cutting. Sawing function– Additional sawing teeth in the front section of the blade easily cut through thicker branches. 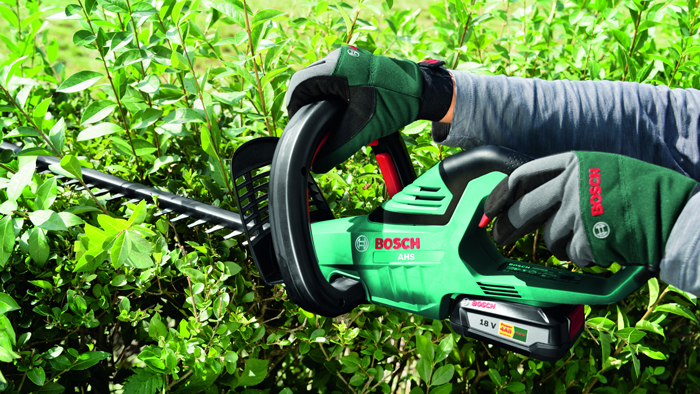 Quick-Cut Technology– Bosch’s new Quick-Cut Technology ensures that twigs and branches are cut the first time around.